When you register for a URI campus tour–held most weekdays–you can also register for a 45-minute information session about the Harrington School of Communication and Media. 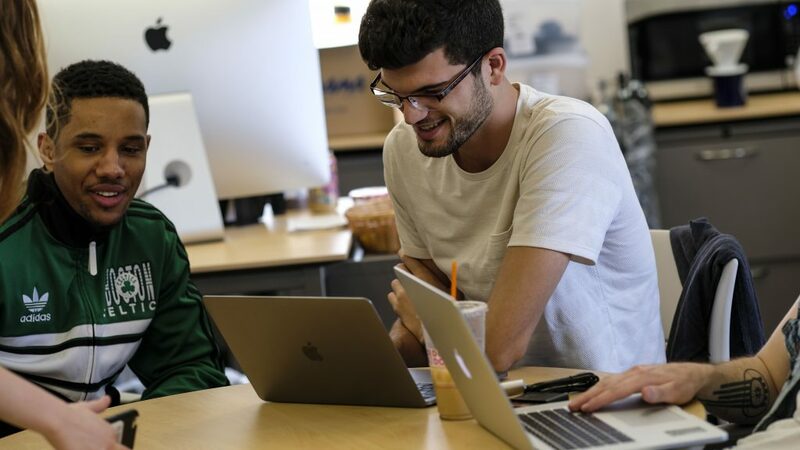 Get a feel for our flexible, experienced-based programs, find out about our local and global internships, and tour our cutting-edge creative spaces. First, schedule a campus tour through the URI Admission office. You will be prompted to add one of the following Harrington School academic sessions as part of the reservation process. If you are only interested in attending this session, and not combining it with a campus tour, contact Jackie Moreino at admission@uri.edu. Information sessions are held in the Harrington Hub Screening Room, Ranger Hall (on the main quadrangle), room 103 [View Map]. Informational Webinar: Can’t make it to campus or have additional questions? Join us online.